Grandma’s DNA may be affecting you. What happened to grandma is affecting your life today. Not just grandma but great-grandma has an effect on your feelings, even if you never met them, or so we are told. The more we learn about genetics and environment the more complicated it all gets. We used to think that genes were genes and experiences; well that was what happened to you. There has been a lot of research on which causes what. Do genes cause addiction and mental illness or do experiences sometimes described as the environment? We have started to think that genes and experiences are both factors, risk factors for developing an addiction or mental illness. A risk factor does not mean you get the disorder, but it increases your susceptibility. We thought that genes and experiences were separate things. What if grandma’s experiences became part of her genes? For a long time we thought that was not possible, now there is evidence that this may be what has and is happening. We know environment can affect genes. No matter what your genes say if your grandmother grew up in a time of famine her growth was stunted. We see this in recent immigrants here in the U. S. Grandma is short but her children get more food both before and after birth and they are taller. So after two or three generations, this family should all be reaching full height. Why then does succeeding generations keep getting taller? Could grandma’s experience of living through starvation also alter her genes so that for a number of generations her children grow up shorter? Eventually, as time progresses that gene could change back to the full stature that was a potential in the genes but eventually that should stop. That may not be what is happening genetically. We were looking at genes as if they were blue prints. Not enough lumber and the house gets built smaller but the blueprints still call for a full size house. Bringing in more lumber and the next house should match the blueprint. But what if that lack of lumber resulted in a change in the blueprint? A new field of research, one name for this is Epigenetics, looks at how the way a gene gets expressed, the house is built, in my example, based on the experiences of the parents. Epigenetics tells us that genes are not constant. They can turn on and off. So that gene for black hair, that shuts off at some point and the gene begins to produce gray or even white hair. Same person, same genetics, but different hair color. Research in mice, this is just beginning to be replicated in human studies, found that in addition to genes and DNA there are other chemicals that can hook onto the gene and then when that gene gets reproduced the add-on gets copied also. One of these add-ons is a methyl group. So if grandma was traumatized, raped or lived through a violent war. Her DNA could have picked up some extra molecules that shut off those outgoing genes. The result would be that as a result of grandma’s experiences your DNA is changed. Remember that methyl stuck on is not adding to or changing your DNA, it is preventing some of that DNA from expressing itself. Depending on which part of your DNA it is stuck to, this could be a good thing or a bad thing. Say your great-grandmother dies when your grandmother was very young. Great-grandfather tried but he was just not able to be affectionate the way great-grandmother would have been. The result is grandma had trouble feeling affection towards your mother. You mother with a non-affectionate mother would find it hard to show a lot of affection to you. Some women report that they have difficulty feeling love or nurturing towards their children. Yes they could have learned this but even when they were adopted by a loving adoptive mom these women may as a result of their extra methyl group hooked onto their DNA find it hard to nurture their children. 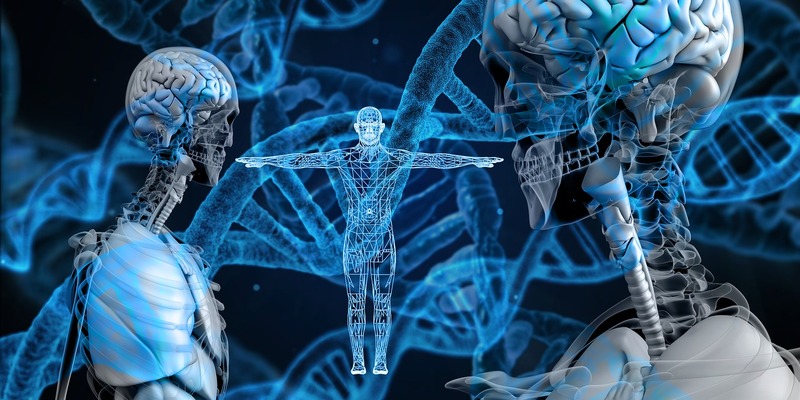 Now if this concept holds up through more research this may explain how ancestor’s experiences have altered the way our DNA develops and the resulting impact on our mental and emotional health. My take away from this is that while this may explain some things about why we are the way we are this also means that if we learn new things, if we have positive experiences our children and grandchildren can be affected by their genes in a very different way. This suggests to me that we need to spend a lot more time on treatment for depressed or anxious children, before they have children of their own, if we want to have an impact on mental health. There is a lot of research going on now on mutations in genes. There are a lot more mutations going on than previously thought. But even if a particular mutation increases the risk of a mental illness, what if some early life experiences could counteract that gene and produce a different emotional result? Let’s hope that it will be possible to help more people as time goes along. For more on this subject check out the article in Discovery Magazine for May 13, 2013 titled “Grandmas Experiences Leave a Mark on Your Genes. This entry was posted in Mental Health and tagged Depression, emotions feelings, Mental Health, Mental illness, self-esteem, Success and Failure, Therapy by David Joel Miller. Bookmark the permalink.